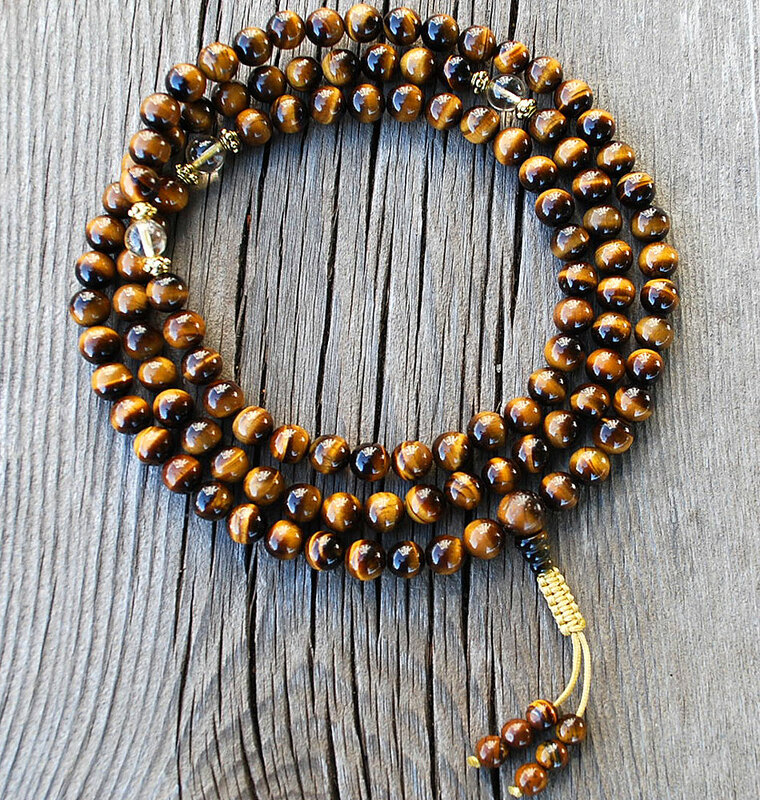 Tigers Eye & Citrine Mala, made of 8mm tiger’s eye beads, citrine and golden brass markers, a tiger’s eye three-holed guru bead, finished with an adjustable snakeknot and tiger’s eye adornments. The pictures don’t do this mala justice in how beautiful it is. The citrine + tiger eye combination also makes for wonderful intention setting and focus. Superbe ! Very well made and more beautiful than the picture ! Love it! 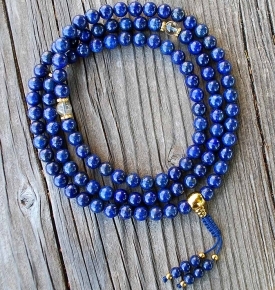 It is beautiful mala and very well done, made with love. 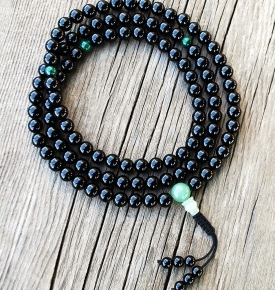 This mala is gorgeous! You can feel the quality as soon as you touch it, it has a nice weight to it and the tiger eye/citrine combo looks so nice. Very well made and durable. Truly beautiful. The citrine on mine looks more clear than yellow, but it reflects the hues of the tiger’s eye quite nicely. The tiger’s eye and citrine is stellar! 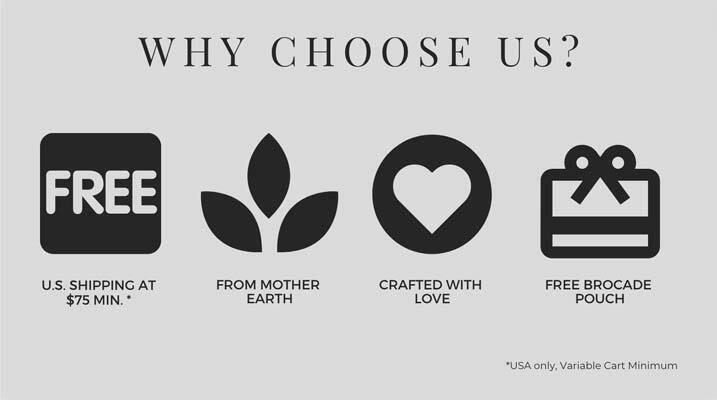 Amazing and beautiful definitely top quality with a very balanced weight to it also. Once again, amazing! 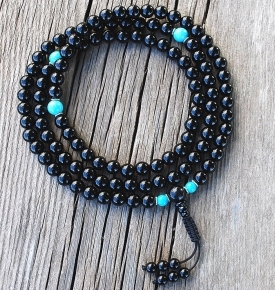 These are the most beautiful mala. They look very symetrical, each and every bead. The beads feel weighty. I love the way these beads are strung. Usually the string does not feel sturdy enough for the weight of the beads. Not in this case. 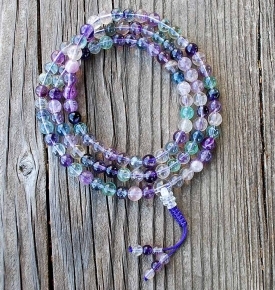 These beads are and will continue to get lots of love and use through japa & kriya. Absolutely lovely. I’m glad that you made this with a knotted tassel with smaller beads on the end. Just perfect in every way. Very Nice mala. 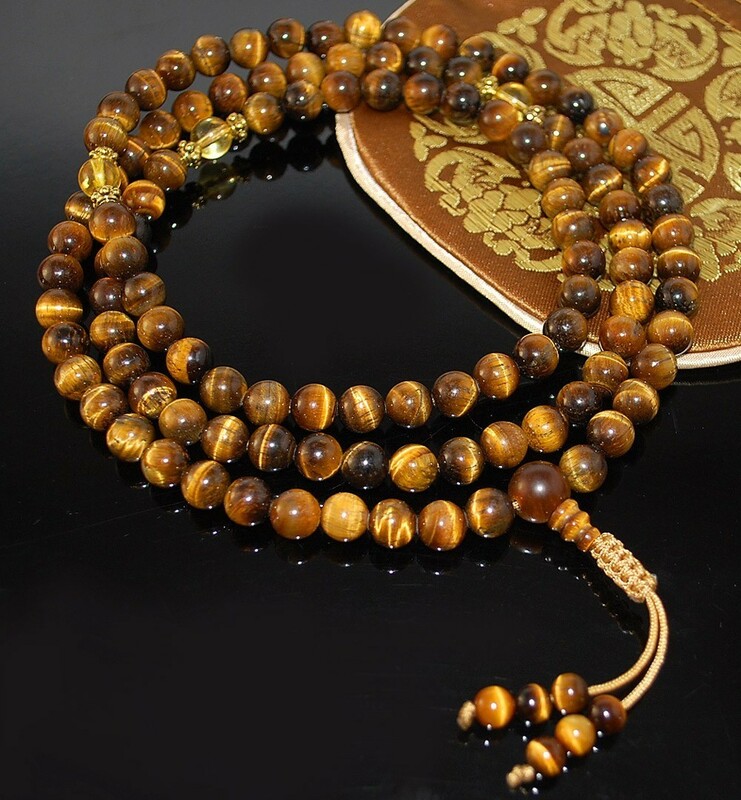 the tigers eye beads have great colors and they reflect light beautifully. quality made!! Breathtaking mala! Then moment I put it on, I felt calm rush over me. I love it so much! Absolutely beautiful and highest quality. Easy to meditate with. 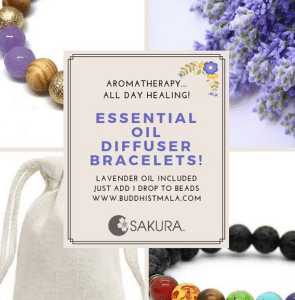 The malas are amazing – full of powerful energy that resonates through your body! Great customer service too!